As the summer passes into a fresh school year, we often see some anxiety associated with changes in schedule beginning to manifest among students – especially those who experience eating disorders or body image issues. If you are a parent or caregiver of a student who faces these challenges, this blog entry may be a helpful resource as you find your footing in the first few weeks of school. Like many other mental health concerns, people who struggle with disordered eating may find solace in their routines. It is important to strive for balance and flexibility within routine, however, so that we can make room for the unexpected and allow space for spontaneity. It may be useful to think of your routine in terms of “structured flexibility,” rather than a rigid set of rules and expectations. Although the beginning of the new school year is far from unstructured, returning to that specific routine after months of living out a summer schedule can be difficult, and even upsetting, for your child. No matter the type of disordered eating they cope with, the commonly associated mental health concerns can become overwhelming as your child adapts to the new routine. Here are some helpful ways to support your child’s back-to-school transition. Eating disorders are complex conditions that often consume the majority of a person’s thoughts in any given day. Initiating a conversation about their mental health and how it may be impacted by the school environment will encourage mindfulness throughout the coming weeks. Have a discussion about this as soon as you can to gently bring their awareness to the changes associated with the school year. Once engaged, begin to delve into their feelings about this change and work towards discovering what your child wishes could be done about these new disruptions. Even if what they want is unrealistic (i.e. : cancel school forever), it is important for you to allow them to be heard and understood. This will also give you a good starting point for exploring some compromises and ideas of what they actually can control or change about the situation. By starting the conversation about your child’s mental health at the beginning of the school year, you’ll give your family the opportunity to discuss the changes in real time as you experience them. You will be helping to alleviate your child’s anxiety simply by talking it through, and preventing them from spiraling into negative thought patterns where they constantly imagine all of the negative consequences that might happen as a result of the changes around them. It will also be very helpful if you encourage them to identify the areas of their schedule or their school environment that cause them discomfort – in other words, have them identify their triggers. Use this information to develop specific, positive coping strategies with your child that they can use when they find themselves feeling triggered, and help them to practice these strategies at home so that when they are caught in a moment of high anxiety, they can recall the info more easily. Your child may be experiencing a lot of stress at being unable to schedule each day around their disordered thoughts and behaviours, and by familiarizing your child with these flexible coping strategies, you will teach them they can learn to trust themselves instead of the eating disorder. As a parent, you have a far greater understanding of your child’s unique experience and challenges than most other people in their lives. Once they have returned to school, of course, it is a lot harder for you to be the one reading and responding to their behavioural cues. Consider reaching out to some of the key people in their lives – teachers, coaches, or counsellors, for example – to let them know about your child’s eating disorder triggers and the ways in which their moods and behaviours can be affected. Do this only if it feels appropriate and helpful, and be sure to stress the importance of keeping your child’s situation confidential. The intent here is not to offload responsibility for your child’s emotional regulation onto other adults, but to bring awareness and context around potentially difficult situations so that their behavior isn’t misinterpreted. Ultimately, the goal is always to empower your child with the right self-regulation tools and resources (like mindfulness, meditation, breathing, etc.) so that they can guide themselves through triggers and challenges, but it can be helpful to have the mentors in their lives on hand to remind them that maybe this would be a good time to take a mindful moment. Having this line of communication open may in turn lead to new information for you about resources your child can use at school (like designated quiet zones, mental health clubs, or buddy programs), which can help to reinforce the supports already available to your family. It’s not all about your kid! For parents, it can be way too easy to lose track of all sense of self when their family’s wellbeing and happiness are at the forefront of life’s priorities. And it can actually feel like good parenting – you’re embodying the utterly selfless, domestically competent, ‘I’ll-sleep-when-you’re-thirty’ kind of parenting you see on the Instagram pages of supermoms. You are #parenting goals and you’re nailing it. This, however, is a trap. Putting others before yourself all the time leads you down exactly one path: Burnout. It’s not sustainable, it’s not healthy, and it’s not even good parenting. If your best friend came to you for advice, would you tell them that the meaning of life is to ignore their own health and wellbeing, sacrificing everything they have to give of themselves for the benefit of others? No? Then let’s be sure you’re not holding yourself to this absurd expectation, either. Reach out for support – have friends, colleagues, counselors, etc., whom you can talk to. Set aside time to do the things that make you feel grounded, renewed, and happy – things that make you feel like you. You’ll be way better equipped to navigate the stressors of supporting your child’s recovery, and you’ll also be giving them a great role model for self-care by actually walking the walk. Take time to check in with your child about the strategies you’ve created together. Eating disorders exist in an ever-changing form, and what may have worked for your child a month ago no longer provides the same benefit it once did. Having regular check-ins will allow you to stay in touch with your child’s emotions and the day-to day experience of their disorder, and together you can make appropriate adjustments to their coping strategies in response to any new challenges that come up. Coping with a complex mental health concern like an eating disorder is not an easy feat - but it is possible. 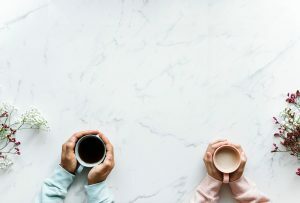 The feelings and perceptions experienced by someone struggling with disordered eating may not always be easy to understand for those looking in from the outside, but consistent patience, listening, and open communication in the coping process can help to uncover common ground. A little preparation, and a lot of structured flexibility, can go a long way in helping to relieve your child’s anxiety around school-related changes and uncertainty. The Looking Glass Foundation is a caring community that offers support to those affected by eating disorders including loved ones. In addition to helping with prevention and early intervention, we offer innovative programs for eating disorder support, recovery, and sustained relapse prevention. We are about getting to the other side of eating disorders, to eventually achieving a world without this devastating disease.